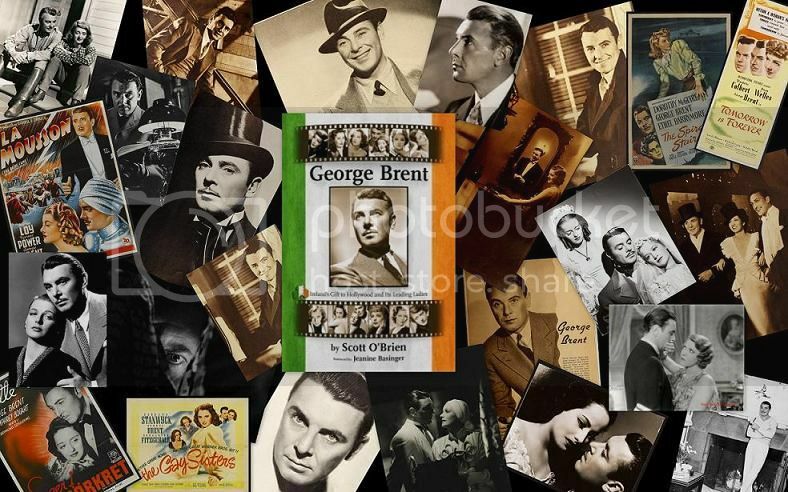 Here's where we can post our questions for Scott O'Brien about his new biography, George Brent - Ireland's Gift to Hollywood and its Leading Ladies beginning Saturday afternoon, on October 25th and all day Sunday, October 26th. An actor in 89 feature films, Brent was especially in demand for his ability to support a series of leading ladies in the studio era, showcasing everyone from Bette Davis to Greta Garbo to Hedy Lamarr and even Diana Dors. Occasionally, when given the opportunity to tackle a role with a good script or an inspiring director, the actor also proved himself a capable performer on his own merits in such films as Dark Victory and The Spiral Staircase. His off-screen adventures, while padded by erroneous studio-padded biographies, were also notable. Born George Brendan Nolan in Ireland, Brent's early life was part of the Irish diaspora as his family dispersed across the ocean. Prior to emigrating permanently, he was involved with Irish revolutionary Michael Collins as a youth, but was reluctant to discuss the details of his experiences. While often credited with appearing at the Abbey Theater in Dublin and pursuing a university education, the truth of this is far more complex and poignant. Eventually the young actor emerged even found his way to Broadway, sharing the stage with Alice Brady, Glenda Farrell and a certain Mr. Gable in a 1930 play, Love, Honor and Betray, which opened just before he turned 31. Married five times (among his wives were actresses Ruth Chatterton and Ann Sheridan), he also romanced Bette Davis and Greta Garbo off-screen, and pursued a variety of hobbies, which included flying, hunting, fishing and other fairly solitary pursuits--though these all seemed to take second place to his lifelong interest in horses and thoroughbred racing. Despite a lifetime in the public eye, Brent remains a bit of an enigma, in part because of his ability to blend into a cast as part of an ensemble. As those familiar with Scott O'Brien's past books know, he uncovered facts about his subjects and has an even-handed but honest approach to writing about the lives of such noted figures as Kay Francis, Virginia Bruce, Ann Harding, and Ruth Chatterton. As a result, the portrait he created humanized and helped to revive interest in their contributions to classic film--and now will undoubtedly help to reassess George Brent's interesting career and life with this new book. Below are links to purchase Scott O'Brien's new book about George Brent and to past discussions with Scott O'Brien at the SSO. Please plan on visiting the message board to participate in the Q & A on Sat. evening, Oct. 25th and all day Sunday, Oct. 26th. All are welcome! Please note: Virginia Bruce - Under My Skin (BearManor) was also written by Scott O'Brien (and is highly recommended). FYI to Members: When posting queries, please bear in mind that our guest is answering questions from the West Coast and has a commitment this afternoon that may affect the time between our posts and his own. However, as always in the past, Scott will be happy to answer questions today and tomorrow (and maybe even come back for more!). Thanks for visiting again with us, Scott. Let's get started with a brief flurry of questions about your interest in George Brent. 1.) In the past, you specialized in writing about some of the stronger female figures in Hollywood such as Kay Francis, Virginia Bruce and Ruth Chatterton. What made you decide to examine George Brent’s life and career? What role did Gaelic filmmaker Brian Reddin play in your decision to write this book? 2.) Brent’s early life has always been shrouded in mystery, especially in his connection to the IRA. Was he really a courier for the Irish revolutionary, Sinn Fein leader Michael Collins? 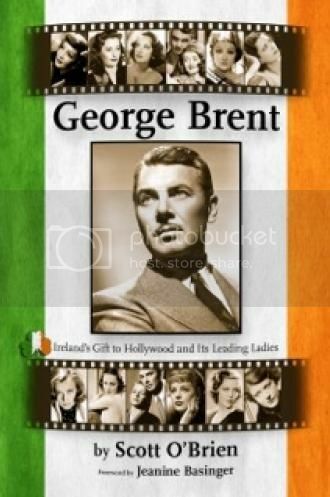 Did Brent, born George Brendan Nolan, leave Ireland with a price on his head, one step ahead of the Black and Tans, as Hollywood legend has it? 3.) What drew Brent into acting? I know that he appeared on Broadway in the ensembled in one musical, The Nightingale written by P.G. Wodehouse & Guy Bolton in 1927 and one drama, Love, Honor, and Betray in 1930, when he shared the stage with Alice Brady, Glenda Farrell and a then-obscure actor named Clark Gable. Was the stage enjoyable for him? 4) Was George Brent a dedicated actor? Was he ambitious or did he see Hollywood as a ways to an end, allowing him the income to pursue his real interests such as aviation and horses? WELCOME BACK to the Oasis, Mr. O’Brien. 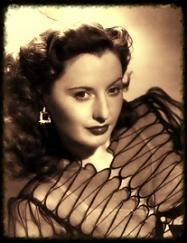 Do YOU have a favorite film of Brent with either Davis OR Stanwyck OR of both? 1)Director Reddin contacted me while I was completing my project on Ruth Chatterton (Brent’s second wife). I had dug deep into Brent’s early years (1904-1932). Reddin flew from Dublin to interview me for the documentary Reabhloidithe Hollywood (2013) for Irish TV. The focus of his film was Brent’s real-life role as a dispatcher for Michael Collins in the last months of the Irish Revolution (1921). Reddin also flew to southern California to interview Brent’s two children Suzanne and Barry Brent. It was Reddin who encouraged me to write a George Brent biography. Since I had one-fourth of the research completed—I went along with the idea. I had always admired Brent’s performance of Tom Ransome in The Rains Came (1939), which happens to be my all-time favorite film. 2)Records indicate that 16-year-old Nolan left New York (where he lived with his mother) in January 1921 (age 16). He wanted adventure and he got it. There were many teenage boys who were dispatchers for Michael Collins. Young Nolan fit the bill, traveling as an American student between Dublin and Glasgow. These positions only lasted a few of months before the Black and Tans would be on their tail. In personal interviews, Brent was consistent in relating what happened. By mid-summer 1921 he was headed back home to New York. Brent indicated that there was plenty of evidence that British troops were on to him. Price on his head? From what he had to say it’s quite plausible. I should add that Brent was born in 1904 (Reddin sent me a copy of his birth certificate) - not 1899 like Wikipedia and other sources claim. He arrived in Hollywood in April 1930 (age 26) with a beard and reported to the set of The Big Trail. In this, he was an extra standing next to the rear end of John Wayne's horse. After several small roles at Fox and Universal, George learned he was going blind and headed back east to his sister Kathleen. Last edited by oscotto on October 26th, 2014, 11:18 am, edited 1 time in total. 3)George (age 17) made his Broadway debut in director Guthrie McClintic’s The Dover Road in December 1921. He played a servitor in which he had one line “Yes, Mr. Dominic.” Brent had spent time at the Abbey Theatre in Dublin while with the IRA. The “roar of greasepaint” got in his blood. He did numerous plays throughout the 1920’s and had at least four of his own stock companies. Brent was not in The Nightingale. He is sometimes confused with the tenor George Brant. Brent was running his second stock company at the time and going by George B. Nolan. He didn’t begin using the name George Brent until 1928. He certainly enjoyed theater and all the ups-and-downs that went with it. Some of his stand-out roles in the 1920's were in: Abie's Irish Rose (on tour for two years), Stella Dallas, Up in Mable's Room, Elmer the Great, Seventh Heaven, White Cargo and Lilac Time. Last edited by oscotto on October 26th, 2014, 11:24 am, edited 1 time in total. Brent was appreciative and had great admiration for both Davis and Stanwyck (perhaps leaning more towards Stanwyck due to her lack of temperament). Davis and Brent were lovers during the filming of Dark Victory and remained life-long friends. Davis paged him to co-star on her 1952 radio series Woman of the Year (1952). In 1978, Brent sent orchids backstage to Davis when she was doing her one-woman tour. Davis said that if George liked the role he was excellent, but if he didn’t he was “a lazy, lazy, Irishman.” My favorite teamings of Brent-Davis would be Jezebel and Dark Victory. 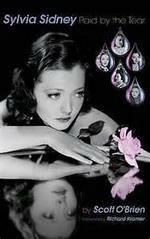 I especially like My Reputation, which was a real favorite of Stanwyck. I believe both actresses brought out the best in George, and Davis often requested him for her leading man. (He was first choice for the films The Letter and Old Acquaintance). She remained especially fond of him… AND he never stole the limelight from her. Last edited by oscotto on October 26th, 2014, 11:28 am, edited 1 time in total. Last edited by oscotto on October 26th, 2014, 12:04 pm, edited 1 time in total. Looking forward to reading your latest book, Scott. Especially since it's about GEORGE BRENT!!! Were you able to dig up any new information on his relationship with Garbo? Did he ever talk about it later in his life? 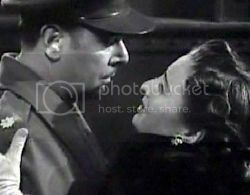 Any reason he and Kay Francis never became an item? (that I know of) sine he became involved with many of his leading ladies? Did Brent ever voice frustration with his career? Although he played leads, it was usually playing the consort to some big female star, never like Cagney or Bogie and other male stars at WB. What was his life like in retirement? Brent & Kay Francis: Brent said that there was “zero” (his word) sexual chemistry off-screen between he and Kay. He did acknowledge what he called“alchemy” between them on screen. 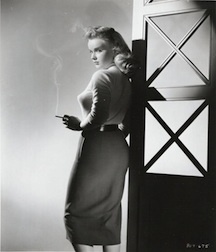 However, Kay’s diary made note of a one-night stand in January 1935 following a guest stint on radio’s Hollywood Hotel. Kay wrote “after big (f-bombing) he got the jitters.” The next morning Brent hopped on his plane and right back to Palm Springs. Retirement: Following his wife’s death, George contented himself with regular Tuesday lunches with actors Milburn Stone (Gunsmoke), David Lewis and artist Davis Miller. Brent came out of retirement, briefly, in Irving Rapper’s exploiter Born Again (1978). Thanks. Nice mix of questions. Hi Scott, and welcome to the Silver Screen Oasis. It's nice of you to visit us. Did Mr. Brent have a favorite film role? Was he close to his children Barry and Suzanne? Was he really serious about Jane Powell? Why such a short marriage to Ann Sheridan? Was there an actor and or actress he didn't like working with? Thanks so much for the great info you have shared here, Scott. 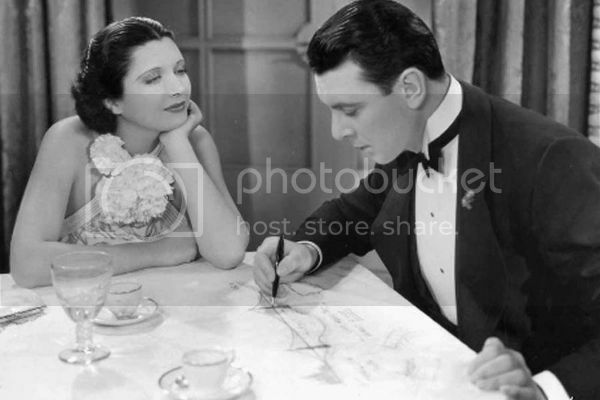 Btw, maybe it was just another day at the factory for Kay Francis and George Brent, but Living on Velvet (1935) is one of my favorite "small-scale" movies that seemed to bring out something more in Brent as an actor (check out the image below from the set as they talk things over). With Frank Borzage as director, I don't think that Living on Velvet qualified as a "B" picture, but I have a fondness for some of the actor's genuine “B” movies during his Warner Bros. years, particularly The Go-Getter (1937) and Racket Busters (1938). In these movies he seemed to get his hair ruffled and played characters who were, like many Americans at the time, struggling to get by. It seemed to me that these parts revealed a grit and a lonely determination in the actor that was sometimes absent from all the smoothy roles he played. Am I imagining that quality or was there something behind his characterizations in certain roles that revealed his temperament? Brent's personal favorites: Brent was especially fond of Dark Victory, ‘Til We Meet Again, and The Rains Came. Actors/actresses he didn't enjoy working with. 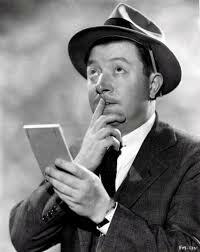 George found Hedy Lamarr “exasperating” (number of takes, line flubs), ditto for Brenda Joyce in The Rains Came. 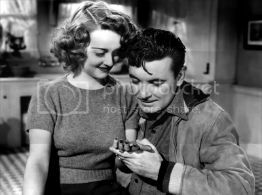 He felt Martha Scott threw herself “too intensely” into her role – “She’ll crack up in ten years,” he commented. Thanks for teasing my brain Joe. I find his performance in The Go-Getter to be an undiscovered “gem.” It’s a heart-breaking performance he offers. His character comes across as genuine—his limp (from an accident) only makes him stronger. George doesn’t often “get” to me, but he did in this. 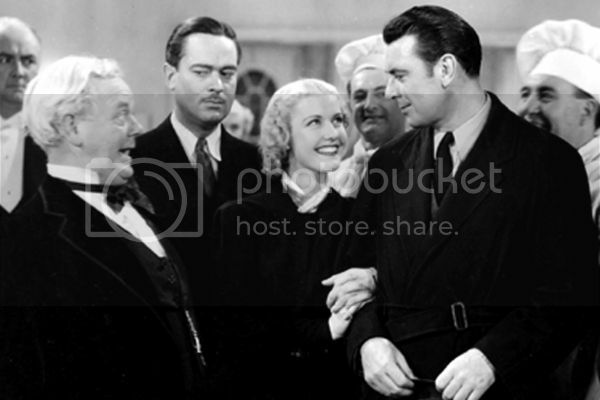 Above: Charles Winninger, John Eldredge, and others look on as Anita Louise gazes at George Brent in The Go-Getter (1937). For me, Racket Busters was more about Bogart. George lacked the emotional punch in some crucial scenes. It was a role that Cagney could have easily nailed. The extra “punch” and emotional turmoil Brent put into Living on Velvet (he liked the role) could easily have been due to his passion for flying. Francis herself stated, “George is pretty much like that character he played in Living on Velvet. I think he feels like he’s living on borrowed time.” I especially like the Brent-Francis teaming in the progressive Borazge-directed Stranded (1935). They had been working steadily together for six months (3 films). Brent said that it allowed them to be relaxed and have greater ease on screen. Above: George Brent with Kay Francis in Stranded (1935). Thanks, Scott. Brent worked with some of the studio era’s very best directors: Wellman, Curtiz, Wyler, Edmund Goulding, Clarence Brown, and more. Did he have a good rapport with any of them? Brent had a reputation as a “lone wolf.” Was that simply studio publicity, or did he form any lasting friendships with the actors he worked with in Hollywood? Brent was especially fond of director Edmund Goulding (Dark Victory, The Old Maid, 'Til We Meet Again, The Great Lie). The two vacationed together in Hawaii and loved to joke around (Brent affectionately called Goulding "Lucy"). George rarely had issues with his directors. I think Wyler induced an impressive performance out of Brent for Buck Cantrell in Jezebel. As one critic put it, Brent's Buck "had a mature naturalness beyond his previous work." Brent thought Michael Curtiz (six films) was "a nice guy, but difficult to work with. He was a screamer and a shouter." William D. Russell, who directed Brent and Claudette Colbert in Bride for Sale (1949)complained that by 1949, Brent was "heavy-handed ... and looked tired and worn." Screwball comedy was NOT Brent's forte. I don't believe Brent worked with Tay Garnett. Brent was a lone wolf. Being abandoned by his mother at the age of one (he didn’t see her again until he was eleven) and trained to be wary of strangers during his months with the IRA left its mark, emotionally. I would say, aside from a couple of his stand-ins, that Ralph Forbes, James Cagney, director Goulding and later Milburn Stone and producer A.C. Lyles were Brent's closest friendships.